When I agreed to look into how many studies the Vermont legislature commissioned during the 2017 session, I assumed someone kept track. Several trips to the Statehouse basement, where the legislature's bill drafters work, disabused me of that notion. 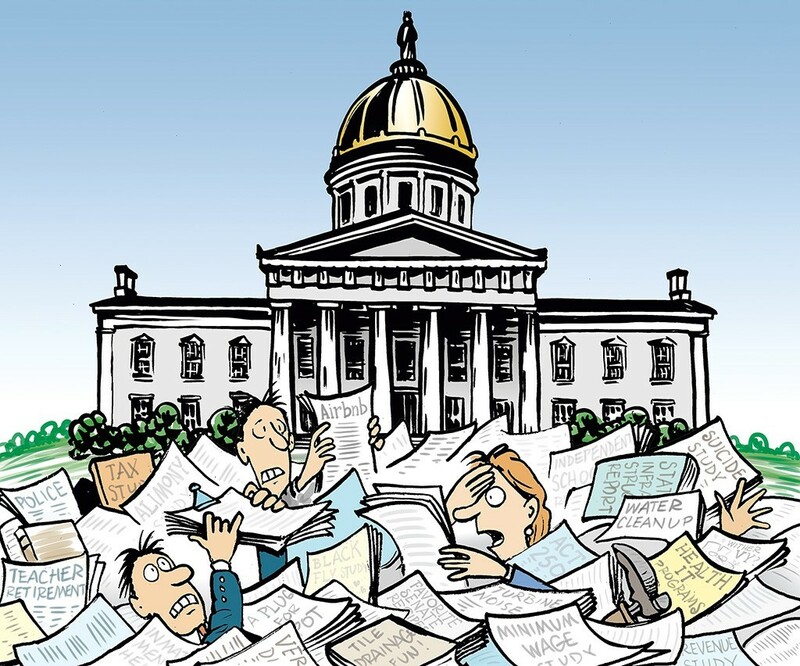 But my ever-helpful editor Paul Heintz had a solution: Just search through the online versions of every bill that had passed that session for words such as "study" and "report," he suggested. The legislature passed 99 bills. The budget bill alone is 208 pages long, and the word "report" appears 64 times. Piece of cake. The task was all the more challenging because lawmakers like to get creative with their terminology. Sometimes they assign work to a "committee." Other times, it's a "working group" or a "task force" or a "commission" or a "council." I searched for all of those words, too. In total, I found that the legislature asked for 68 reports — maybe more, if lawmakers used another synonym I didn't think of. I had scrolling-induced nausea on and off for a week. Lawmakers like to joke about their propensity for ordering reports, but it's harder to laugh off the work these reports require once you've seen the whole lot.